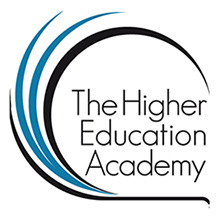 This week we recieved the happy news that our submission to the Higher Education Arts and Humanities had been successful. The title of our presentation “A trusty tale of technology adoption…because change isn’t always bad” had some good feedback from the reviewers as it relates closely to the conference theme of extra-ordinary tales of learning and teaching. Our presentation focuses on ‘The Move’ project which took place over the summer and how a personal approach can be of benefit when making technology changes. The conference has a strong narrative theme running through it, involving heroes and monsters. So we’re very much forward to getting into character and taking Falmouth to Manchester, in June.